Tom Ford frames promote a modern sense for a style that echoes glamorous and sophisticated. Flexon is ideal for individuals with an active lifestyle seeking, ease, comfort and durability in their eyewear. Gant Eyewear offers a modern, classy look; classic American style with a European touch. Since 1949. INVU. sunglasses provide design and quality you can count on and an incomparable visual experience. Kate Spade frames are fashionable and functional. Available in a large selection of colours and styles. Kenneth Cole Eyewear by Marcolin Eyewear, producer of some of the top fashion eyewear brands worldwide. Marchon NYC eyewear is inspired by the trends and styles of New York City and its’ urban lifestyle. The line targets men looking for more choices in cutting-edge style without sacrificing comfort. Nike Eyewear offers the best in sports sunglasses and the latest sunglasses technology. Nine West frames are designed for fashion conscious women seeking affordably chic, quality eyewear. Nautica Eyewear is a timeless collection which like the brand’s apparel, accessories and home furnishings. Oakley has a passion that redefines what is possible for those who defy their own limits. With dozens of styles to choose from, there is an Airlock style to compliment every face and personality. Quest for innovation, craftsmanship and great attention to detail are the hallmarks of Swarovski’s frames. A pair of new eyeglasses from our contemporary collection will enhance your life with much more than clear vision! Prescription glasses and sunglasses are a trendy, fashionable way to accessorize any outfit. We welcome you to visit our eye care clinic to view all the amazing eyewear we have to offer in St. Louis, located near Maryland Heights, MO. If you have an up-to-date vision prescription, be sure to bring it. If your prescription isn’t current or accurate, our eye doctor will be pleased to perform a detailed eye exam. With advanced equipment and skill, we will check your vision to determine your precise need for vision correction. 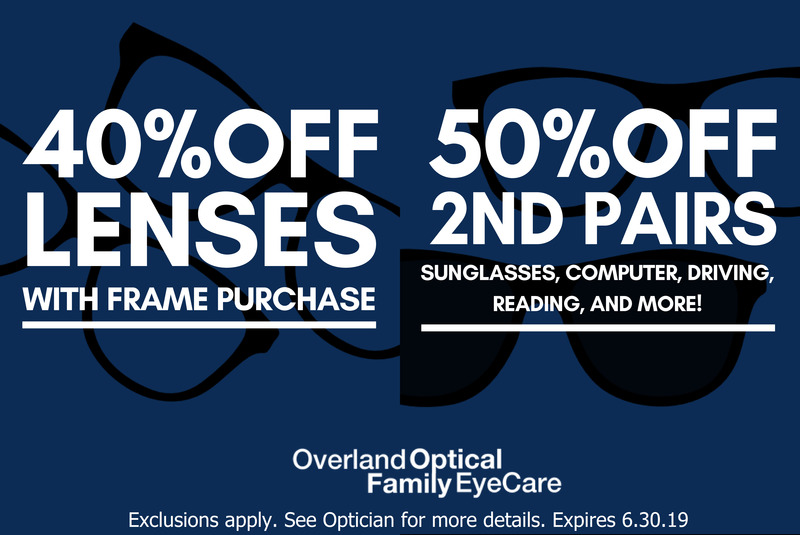 After your eye exam with our optometrist, you’ll be able to pick out designer frames conveniently from our St Louis optical collection. Whether you favor a sophisticated, elegant look, or want to make a more casual, hip expression, we feature it all. Tell us your preferences and lifestyle needs, and our staff will guide you to the best, personalized eyewear options. In addition, not all frame designs suit all vision prescriptions, and we'll make sure that you select designer eyeglasses that help you see as sharp as possible. We carry brand-name, premium eyeglasses and sunglasses, so your eyewear will stand up well to the tests of time and daily use! Some vision conditions or daily activities, such as sports, need specialty eyewear. Our opticians will recommend the ideal pair of specialty eyeglasses from our extensive selection. With kids, children’s glasses have a unique set of requirements – they must be particularly strong and flexible. We know you’ll appreciate the solid engineering and top-notch craftsmanship of all our designer eyeglasses for adults and children. Our display is full of the latest eyewear to serve patients from St. Louis and Maryland Heights. Our array of sleek shapes, attractive colors, and modern materials is endless – including bright plastics, bold geometry, classic rimless and conservative titanium frames. Popular embellishments include split temples, sparkling crystals and vintage wood inlays. We feature the latest eyewear from trending American, Asian, and European labels, such as Coach, Guess, Kate Spade, Marchon, Ray-Ban, and many more! We aim to satisfy all of our customers who want to see and look great! Add some glam to your appearance with Swarovski eyewear. In our St. Louis optical collection, we feature frames that combine sophistication with luxurious style.